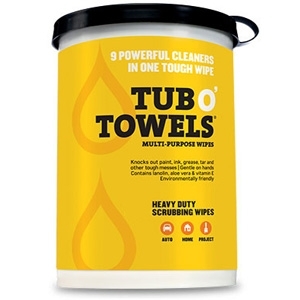 Tub O' Towels Heavy Duty Wipes - 40ct. A tough cleaning solution deserves a tough towel. Our fiber weave design not only captures grime and dirt particles, it’s tough enough to withstand vigorous scrubbing for jobs that need a little more elbow grease.